I am in love with this foundation! I know... I said the same things about Mac, Nars, Chanel, Lorac... etc. but there's something a little different about this one. 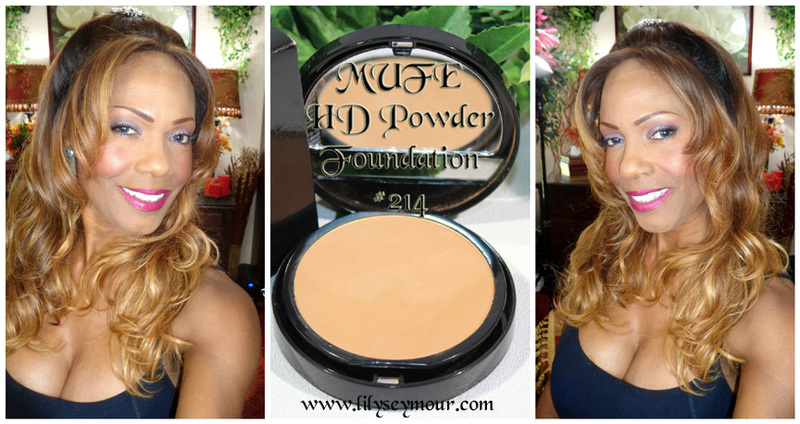 The MUFE HD powder foundation can be applied wet or dry and it doesn't get real chalky once you wet your sponge. This foundation applies very evenly without streaking or looking powdery. The foundation comes in a double compact with a sponge in the bottom half that's well ventilated with holes so it can dry between uses. In the video, I applied the foundation using a sponge from Mac Cosmetics. It's very flat with a pointed tip making it easy to get underneath the eyes. I don't think many beauty blenders on the market work all that well with powder foundations as they do with bronzers and loose powders... this is just my opinion. Since it's summertime and very hot here in California where I live, I'm not wearing any liquid foundations underneath this powder. Usually for a flawless finish, I will apply a liquid foundation from the same brand as my first step then the powder foundation on top. I'm will try this combination as soon as the weather cools. There wasn't many colors to choose from for women of color. This one actually appears a little lighter than my skin because it's swatched on my arm. Once applied to my face, you can see in the video that it's almost a perfect match.